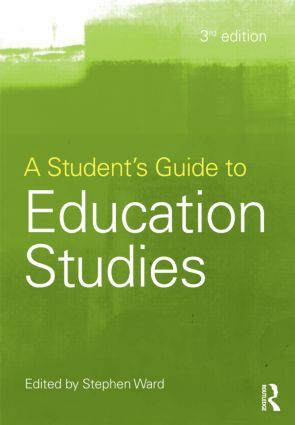 A Student’s Guide to Education Studies is a much-needed resource for any undergraduate making their first explorations into the fascinating world of education. The first publication of this book in 2002 helped to define the nature of the subject, introducing topics into the field which had not been previously considered. This new edition brings the subject up to date with the latest thinking and research on policy, globalisation, learning and knowledge,　offering an accessible and wide-ranging introduction to a diverse range of topics and issues in education. the Coalition Government’s policies for academies and free schools. Organised around three enduring themes - Education Policy and Politics, Global and Environmental Education, and Learning, Knowledge and the Curriculum - each chapter contains summary points, questions for discussion, and annotated suggestions for further reading. With a distinctive international and global focus, A Student's Guide to Education Studies is an essential resource for all students of Education Studies.